Sanjeev Vakil has shown great business acumen, team building and leadership skills in developing HIMT to become India’s leadingmaritime training institution. 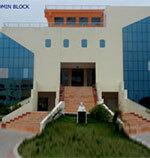 His dedication and zeal to attain his goals have taken HIMT to a pinnacle position among institutes in India. 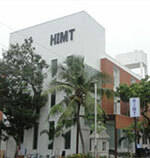 Having followed the growth of HIMT at close quarters since its inception, I have no doubt in my mind that, with Sanjeev at the helm with his committed team, HIMT will soon become the premier training institution in the maritime world.